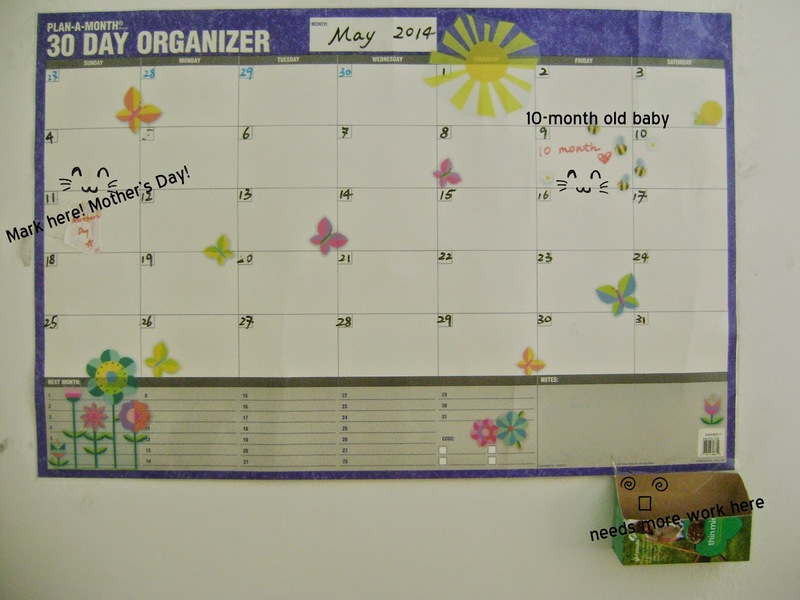 Before the end of May, I need to have a post about how a decorated my wall calender for this month. It looked like this in March and April. Not organized. Not cute at all. I started from cleaning it. 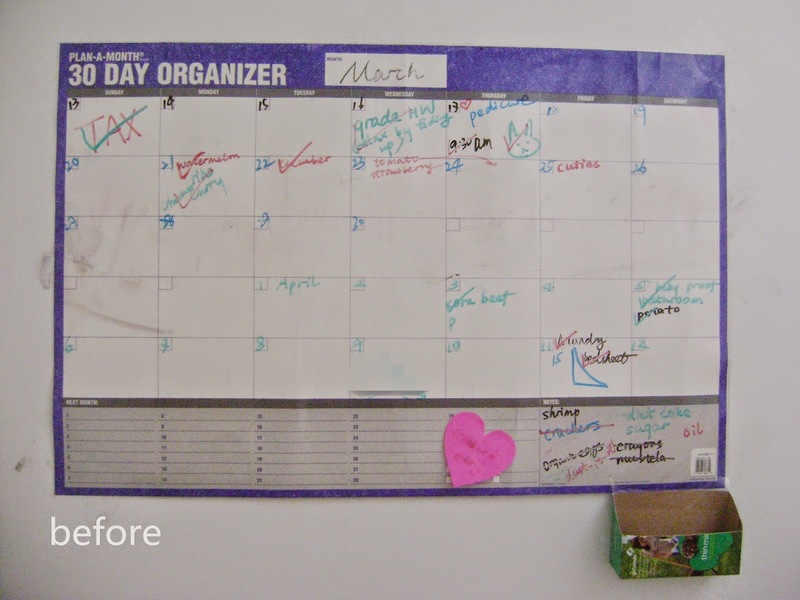 This is a laminated wall planner. The size is like a poster. I didn't buy the cleanser for this planner. I just used baby wipes. It worked great. For some tough spots, I used nail polish. To decorate it, I used the window cling decals from local Target. They are Easter themed decors. Since it's not for Easter decor, I just used the sun, flowers and butterflies and skipped the Easter eggs and bunnies. Keep this in mind!!! A week after Easter, they are 90% off. I got them for 25 cents each. I think I got 4 of them. It looks pretty cute except for the marker holder. 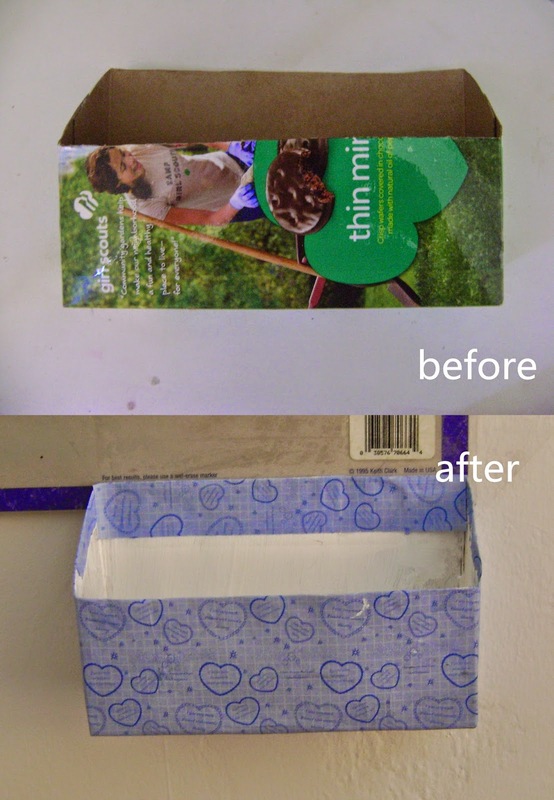 As you can see, I cut girl scout cookie box and turned it into a marker holder. For the outside of the holder, I used some matching color wrapping paper. And I used acrylic paint (white, Micheal's <$1).